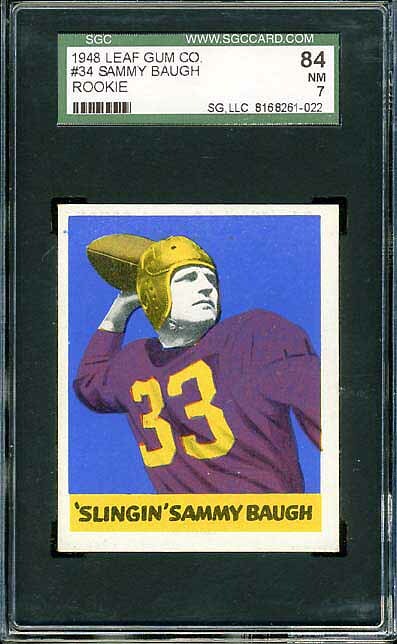 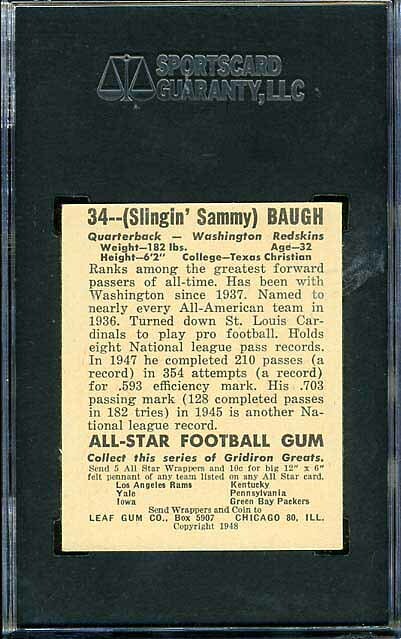 This set features my favorite of the two Sammy Baugh rookie cards. 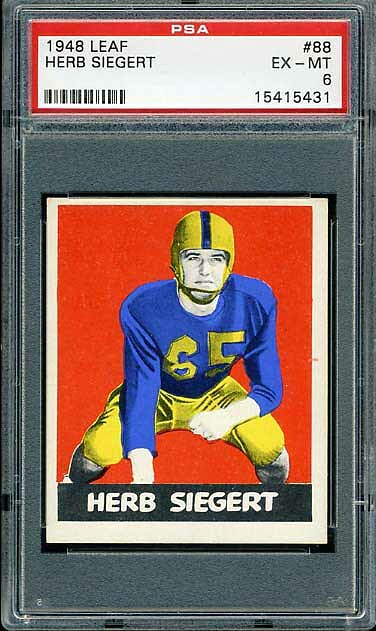 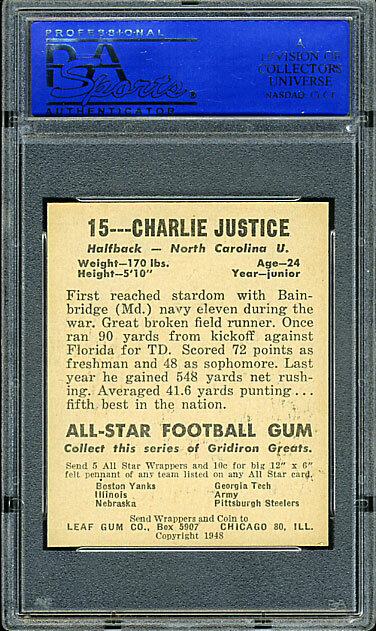 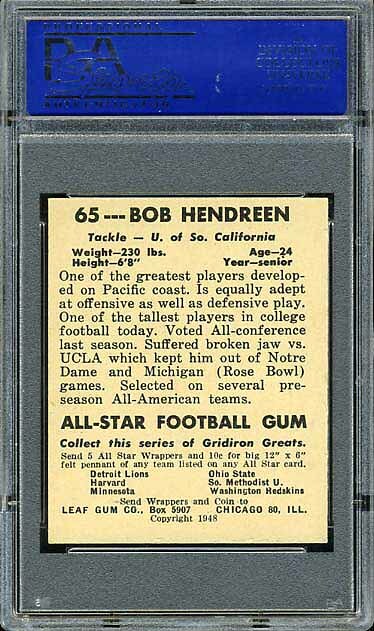 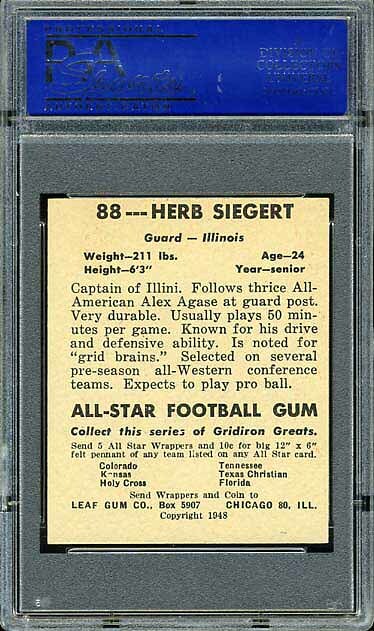 This is one of the most popular sets for vintage football card collectors. 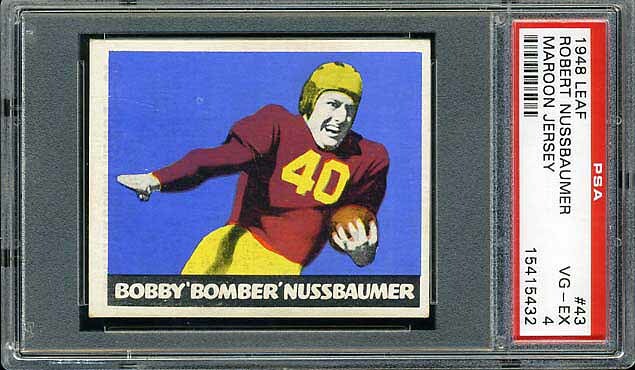 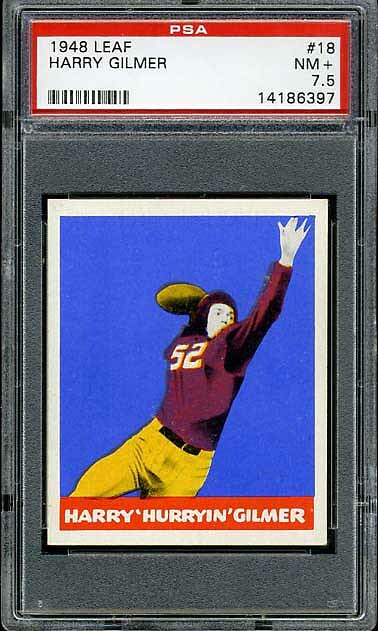 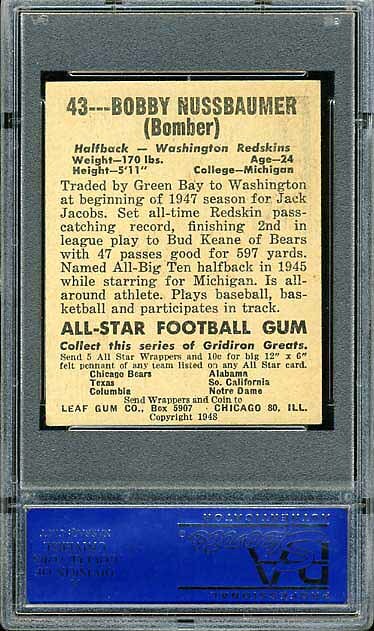 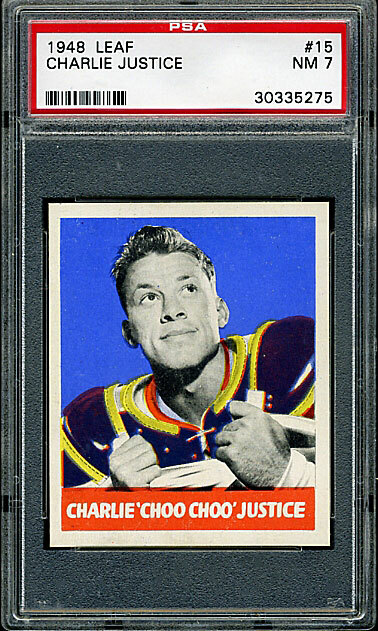 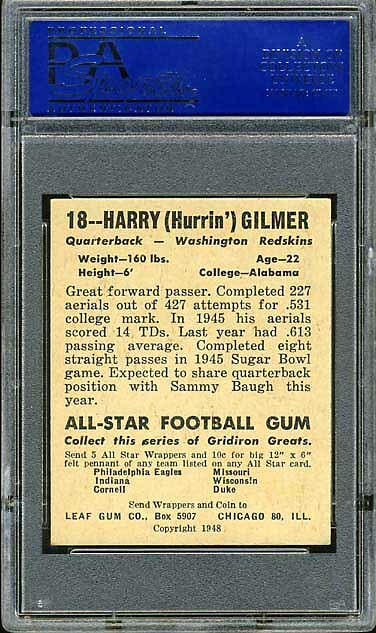 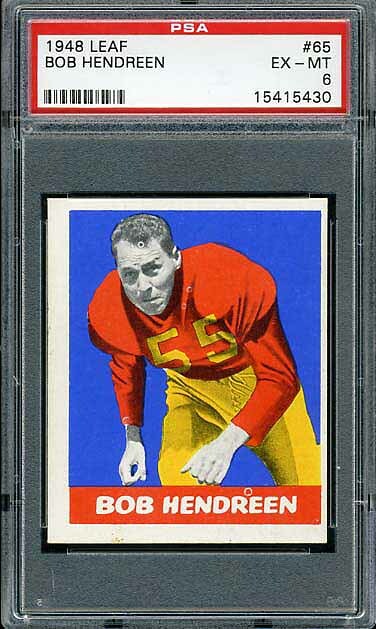 Below is the complete set of 1948 Leaf Redskins football cards.